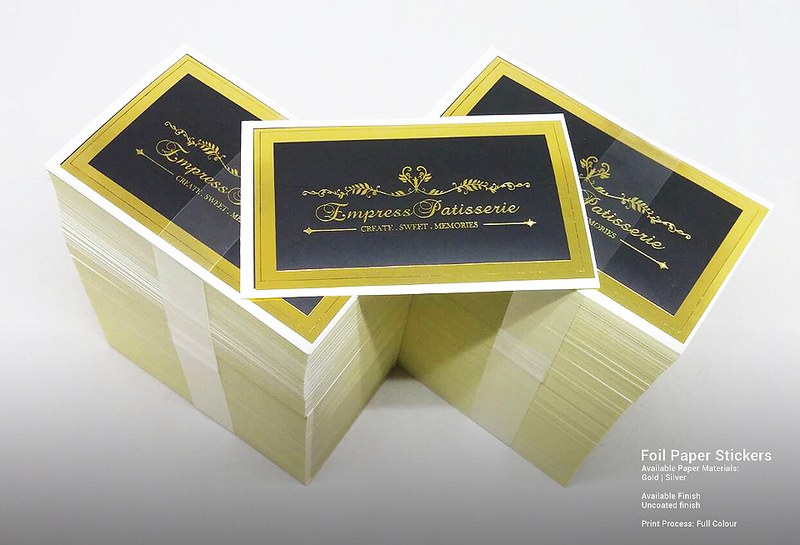 Our Foil Paper Sticker is made of gold or silver foil paper material. 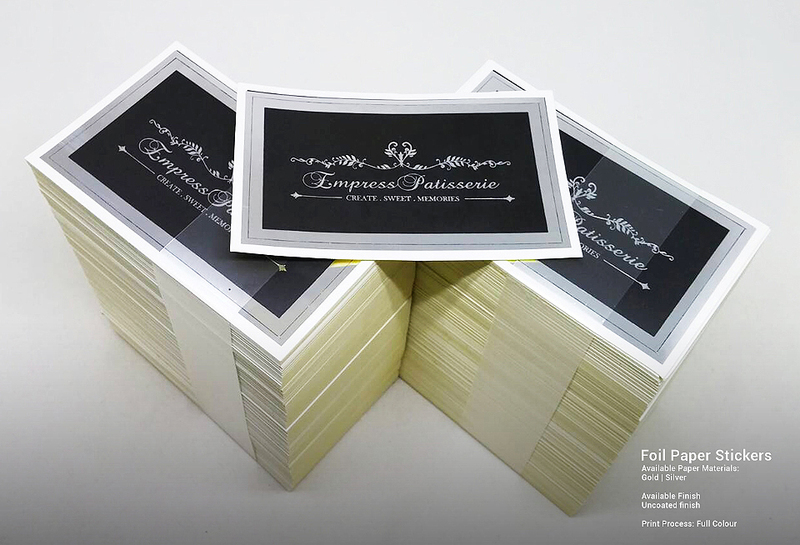 Recommended for retail shops, gift wrapping, weddings and for those who are seeking a special, stylish finish. Note that the paper material used for these stickers is slightly less durable / water resistant.